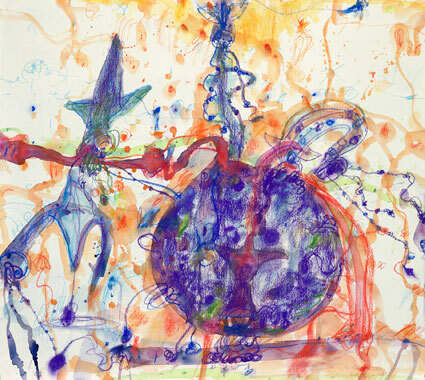 Squid with its Own Ink, a new limited edition fine art Giclee print by John Olsen, released in October 2010 to an edition 40 only, the sheet size is 52cmx57cm, and this work is just slightly smaller than the traditional works. Lay Buy welcome. Etching House Lay Buy is welcome on 20% deposit, terms up to 12 months.